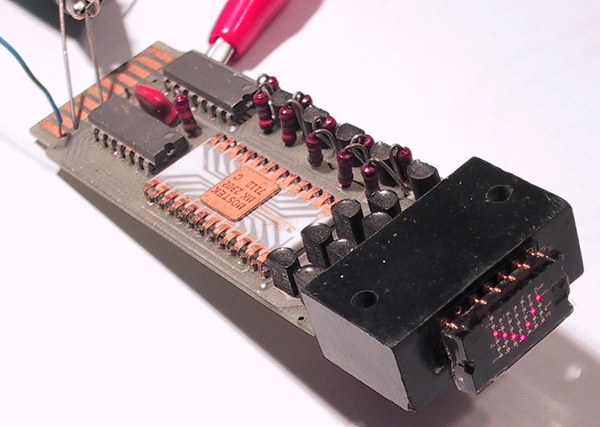 The Monsanto MAN-2 is considered by most to be the first bitmapped 5x7 pixel LED display. 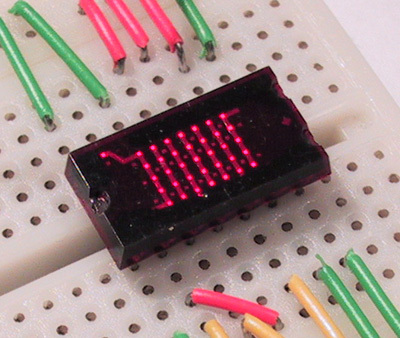 A key product in Monsanto's line of ground-breaking LED numerical displays, the MAN-2's bitmapped display area could display letters and characters that were beyond the graphical capabilities of the seven-segment MAN-1. Unlike the TIL311 and other bitmapped smart displays that would follow, the MAN2 contains no driver circuitry. External character generator logic is required to multiplex the display's many pixels. 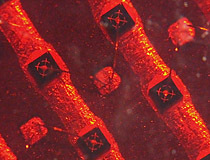 Early versions of this display were quickly superseded by the MAN2A, which is packaged in red epoxy and has a different internal construction. The overwhelming majority of MAN-2As in the secondhand market were manufactured by General Instrument after they bought out Monsanto's LED division in 1979. Early Monsanto MAN2's can be easily identified by the large engraved 'M' logo in the epoxy above the digit. Monsanto MAN2 LED display, normal operation. 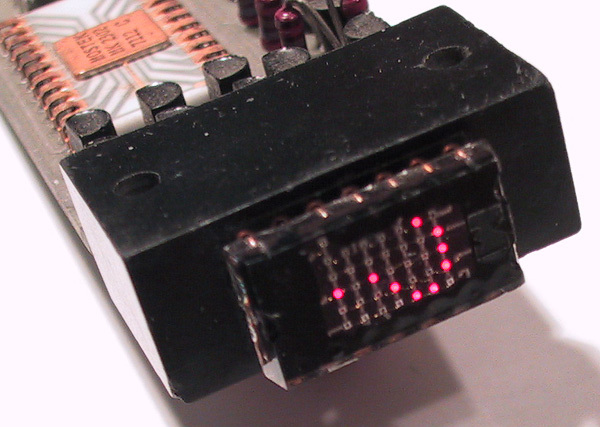 This very early display appears to use the same LED dies as those used in the Monsanto MV1. MAN2A 5x7 LED display, 40x magnification. MAN2A 5x7 LED display, normal operation. 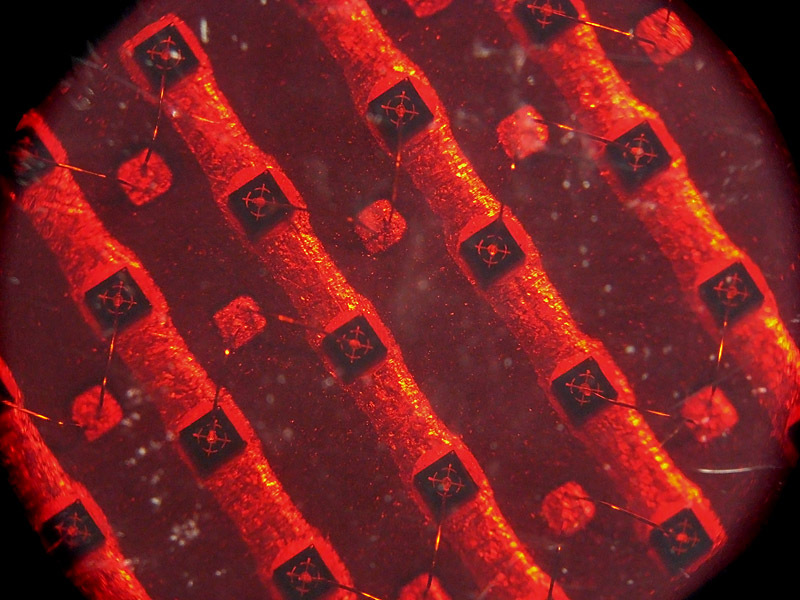 We are unsure who manufactured this example, but estimate it was most likely General Instrument based on a microscopic examination of die construction. Monsanto MDA111 display drive module with Monsanto MAN2 display installed. 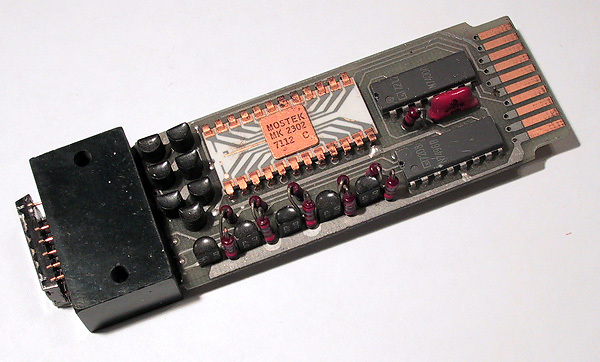 The brains of the MDA111, a Mostek MK 2302 6-bit character generator. 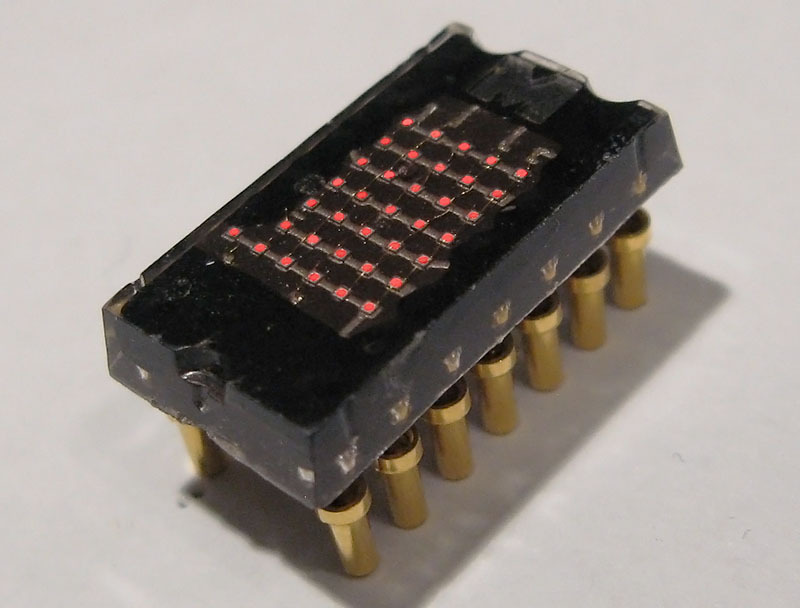 The MDA111 mounts a MAN-2, the first model of 5x7 bitmapped LED display, for character indication.